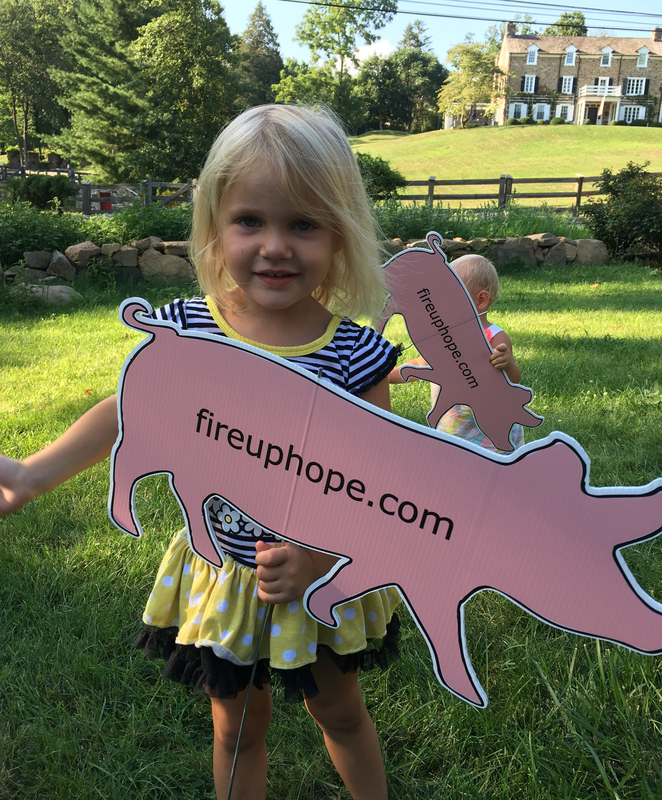 HelpHOPELive, in partnership with 92.5 XTU, is proud to present Philadelphia’s inaugural Fire Up Hope BBQ Festival, a 2-day, family-friendly event to be held at the Devon Horse Show Grounds in Devon, PA from Saturday 9/10/16 to Sunday 9/11/16. The event will feature a barbecue competition sanctioned by the Kansas City Barbecue Society, which will serve as a qualifier for the 2016 Jack Daniels World Championship Invitational Barbecue, as well as a “Backyard” BBQ competition for amateurs. In addition, we’ll have food for sale, craft beer, a Kids Korner filled with fun activities for families with children, musical acts and a special a 9/11 tribute. For more information, visit our website at www.fireuphope.com. TFW you hear your Fire Up Hope ad on 92.5 XTU…indescribable!!!!!! Piggies in Gladwyne! They are so bold…is there anywhere they won’t go to help us fire up hope!??! We seriously appreciate your support! 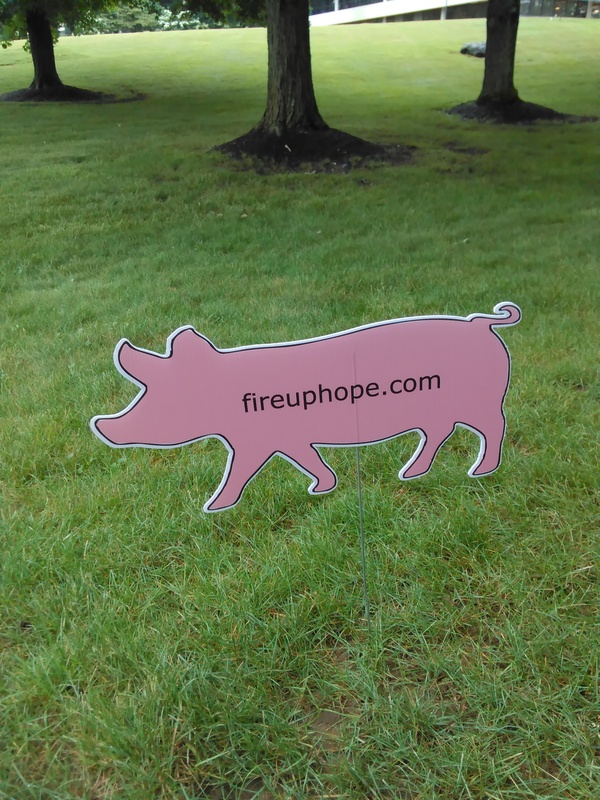 Every little pink pig that you so generously “litter” all over your best frenemy’s front lawn is directly helping us to bring more attention to a great event and an amazing charitable cause. Thank you! THE PIGS HAVE LANDED! You heard that right, folks…THE PIGS HAVE LANDED!!!! 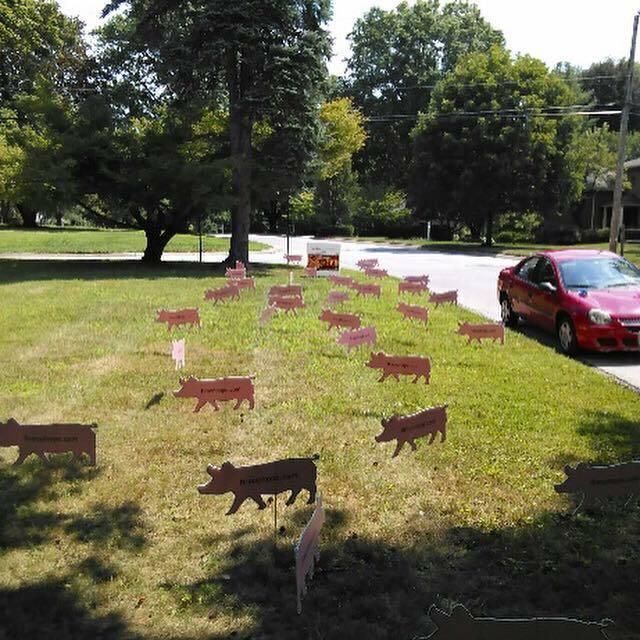 Here they are boldly invading a neighborhood in Berwyn! Where will they show up next!? Our pink pals are helping to support a great cause as they advertise our BBQ festival for charity! Thanks, little helpers!! Post a comment here if you want to learn how to “litter” a friend’s front yard to support a great cause.